With the release of his fourth artist album, two successful singles and a bunch of dancefloor-sweeping remixes, all seeing the light of day within the past months, some well-deserved rest before kicking off his ‘Armin Only 2010 – Mirage’ world tour wouldn’t be out of place. 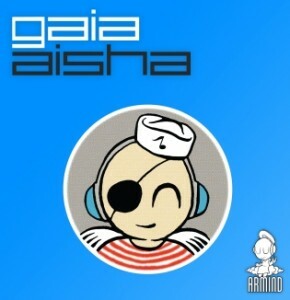 But Armin van Buuren likes to keep the fire going and now switches roles to his beloved Gaia moniker, presenting us the musical masterpiece ‘Aisha’. A cutting edge sound, combining trancy influences with a classical touch and banging impact, makes ‘Aisha’ a more than worthy follow-up to last year’s ‘Tuvan’ and all time classic ‘4 Elements’. ‘Aisha’ first appeared on Armin’s ‘A State of Trance 2010’ album and became the anthem to the 2010 edition of Dutch maritime event SAIL. The global dance scene has been dancing to its original version for months already, but the full ‘Aisha’ package is now about to strike home. Three diverse translations of the track are about to kick in. DJ and producer duo Aly & Fila, with their roots in Egypt, gave ‘Aisha’ a more uplifting touch, contrasting with the Ashley Wallbridge remix, that’s deep and progressive. Sitting between these, touching the very tip of progressive and hitting the uplifting sound, is the Orjan Nilsen remix, known for his multi-faceted sound. A tempting package for a masterful track and future classic.